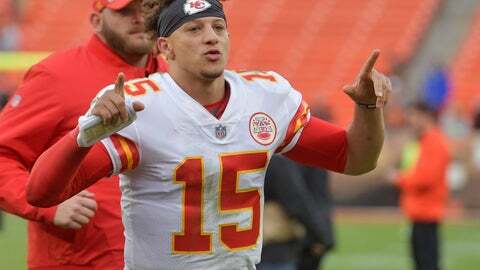 It all started with a very simple comment from Kansas City Chiefs quarterback Patrick Mahomes in an interview with ESPN’s Seth Wickersham. That’s right. The guy from Tyler, Texas puts ketchup on his steak. @PatrickMahomes5 Try ketchup mixed with A1 with your steak, that’s my go to, and don’t let the haters keep you down for eating your steak the way you want! Patrick Mahomes' teammates didn't all know about his ketchup love. Negative… KC fans will start putting ketchup on OUR steaks from now on. If @PatrickMahomes5 says it's right, it's right. What self respecting carnivore puts ketchup on steaks? I don't know if I could like @PatrickMahomes5 any more than I already do. But if his love of #ketchup gets #KC a @Whataburger I will love him for life! If Patrick Mahomes likes ketchup on his steak then so do I.